Hi Every one, I am hoping very much that some one here has the paper assembly instructions, for the HO slot car track I picked up at a garage sale. The woman at the garage sale, had no idea how the track goes together. The track was sold to me, as a large pile, inside, a used, laundry basket, and there is no original box to refer to. I have searched the internet and found nothing. 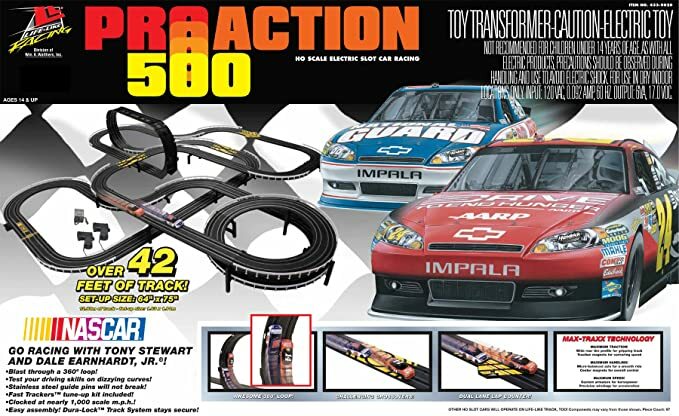 I think this track is the Pro Action 500 set, and I make that determination from just looking online at Life like tracks and matching the cars that came with the track I bought. For the life of me, I can't figure out the lay out of the track. Plus, I am in hopes what I bought is the Pro Action 500. Found this on Google. Might take some trial and error but you should be able to recreate the layout based on what's shown (assuming all the original track pieces are still there). Also, given that the track is used and you have no instructions, try putting together a small, simple oval first, just down and back--doesn't even have to be very big. It will give you a good idea of the current condition of the track, cars, etc. The nice thing about sectional plastic track is that you can build it in any configuration you want--you don't have to follow what's on the box. Last edited by el gecko; 08-27-2018, 07:01 PM. This is everything I can make out from the box except the loop sections. There's a 15" straight upside down between them. It has taken several days and hrs. working at it, when I had the time. 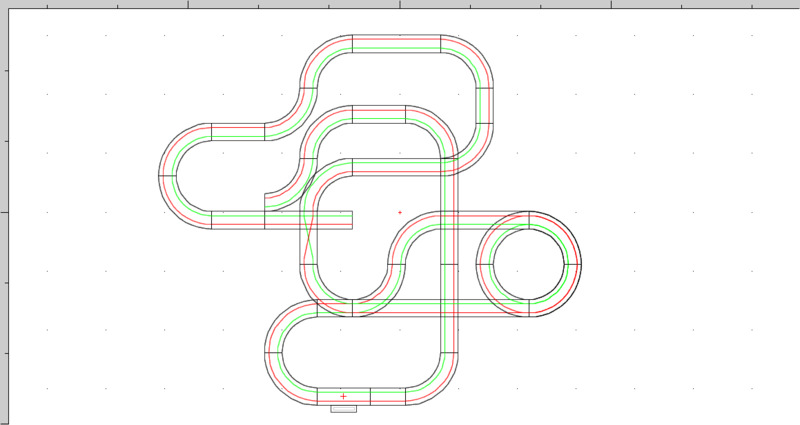 But because of your suggestions, and your track diagram, which has helped tremendously!.... I was able to build a track, some what like you pictured.... but, I think, there are certainly some track pieces missing, and there definitely, is numerous track supports missing, especially three of the wide foot/base track supports for the loop, I have had to use blocks of wood and Styrofoam, and be creative with those. I wonder if those supports are still made ? and available to buy? Thank you for answering my request with great ideas and your diagram! I wish there were a way to flip the loop to the other side, from where it is, as I think that would help compact the tracks foot print. I wonder what other track plans could be created with this set?....if you should ever get some ideas for them, I would appreciate seeing them! Thank you once again! Last edited by flywelder; 09-09-2018, 06:37 AM. Check with Terry Flynn of Harden Creek Slot Cars. He may have some information/parts. Will do ! thank you!